All three Voyager’s Award finalists submitted reports of enviable cruises, attracting the judges’ admiration. However, the judges unanimously leaned towards one in which the owner’s enthusiasm and commitment shone through. 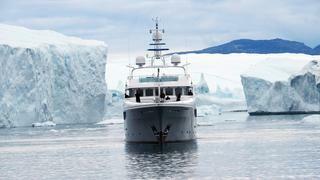 This was the near 11,000-mile cruise of Latitude, submitted by her owner, Anil Thadani. Starting in Fort Lauderdale, Latitude headed up the US East Coast to Maine, Newfoundland and Battle Harbour, Canada, then crossed the Labrador Sea to Greenland before taking the legendary Northwest Passage around the top of Canada to Alaska and the Pacific Ocean. For Thadani, a self-confessed polar bear enthusiast, seeing 19 of these magnificent creatures was a voyage highlight, along with a visit to Franklin’s base, Northern Lights sightings and encounters with musk oxen, walruses and whales. There were worrying close-calls with ice as well. This adventurous expedition, interestingly described and illustrated by excellent photography, is a worthy winner of the 2016 Voyager’s Award. Among the superyachts judged to be the best of the Refitted Yachts, the judges’ secret ballot revealed the winner as the classic 53-metre Feadship, Mirage (ex-Elizabeth F). A refit under her previous ownership in 2007 had only partially updated the yacht, so the untouched areas seriously mismatched the new work, and the new owner was keen to address this, as well as other technical issues. The subsequent refit was cleverly carried out over three winters, thus allowing the owner to still make use of the yacht during the summer months, and the entirety of the work was completed in early 2015. During these refit periods in STP in Palma, Spain all aspects and areas of the yacht were redecorated or restored while a new gymnasium and spa pool were installed as well. The quality and scope of the work exceeded the owner’s expectations and now Mirage is not only used for his family holidays, and as a crew ship while racing his sailboat, but she is also proving to be a successful charter yacht. Yachts entered for the Refit/Rebuild/Conversion category are divided into sub-categories by the judges after they have read the yachts’ detailed submissions. The secret ballot revealed that Malahne had won the Rebuild category by a significant margin. Originally built by Camper & Nicholsons in 1937, this yacht had been ravaged by ill-considered modifications during a refit in the 1980s, and her new owner requested that she be restored as close to her original appearance as possible. The team that undertook this work over a 24-month period at Pendennis Shipyard were responsible for a highly professional and detailed restoration that fully met the owner’s brief and also brought her to LY2 standards. During the course of the refit, the team displayed a high level of understanding of her era, just one example of which is that her entire hull plating was replaced in its original joggled and riveted form below the waterline. She now has a new lease on life, offering modern yacht comforts set within the aura of a classic. LOA: 50.3m Original Builder: Camper & Nicholsons Refit Yard: Pendennis Shipyard Refit Naval Architect: Pendennis & BMT Nigel Gee Refit Exterior Design: G.L.Watson & Co. Refit Interior Design: Oliver Laws/crew areas by G.L.Watson & Co.
Yachts entered for the Refit/Rebuild/Conversion category are divided into sub-categories by the judges after they have read the yachts’ detailed submissions. The secret ballot revealed that Malahne had won the Rebuild category by a significant margin. Originally built by Camper & Nicholsons in 1937, this yacht had been ravaged by ill-considered modifications during a refit in the 1980s, and her new owner requested that she be restored as close to her original appearance as possible. The team that undertook this work over a 24-month period at Pendennis Shipyard were responsible for a highly professional and detailed restoration that fully met the owner’s brief and also brought her to LY2 standards. During the course of the refit, the team displayed a high level of understanding of her era, just one example of which is that her entire hull plating was replaced in its original joggled and riveted form below the waterline. She now has a new lease on life, offering modern yacht comforts set within the aura of a classic. Refit Exterior Design: G.L.Watson & Co.
Refit Interior Design: Oliver Laws/crew areas by G.L.Watson & Co. It is unusual that the jury grant an award for low-cost work, but it was agreed that the team that carried out the rebuild of Kanaloa, a 48-metre CRN motor yacht built in 1996, should be recognised. Significant defects were found in this yacht after a recent change of ownership, despite these not being discovered in a pre-purchase survey. Following a later Lloyds survey, the issues were found to be so costly to address in a shipyard that the owner was at the point of scrapping the yacht. Yet miraculously, she was saved from this almost certain fate by the intervention of her captain, who suggested that the yacht could be saved at less than 50 per cent of the cost quoted if a large proportion of the work was carried out by the crew and independent sub-contractors working with a project manager from Hill Robinson. The owner agreed, and the structural and other work required to bring her back into classification was undertaken at Compositeworks during a 14-month period. Among many other issues addressed, more than 30 per cent of the hull plating was replaced by Compositeworks, the main engines were returned to zero hours, and the remainder of the drive train was also dismantled and rebuilt. These tasks also required the removal and replacement of a large element of the yacht’s interior joinery and a great deal of other work. 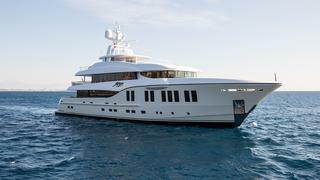 The rebuild was completed with a full repaint in time for the 2015 Monaco Yacht Show. In the judges’ view, this was a commendable achievement by all concerned. The old saying that ‘A thing of beauty is a joy forever’ is certainly true of the winner of this five-strong class of sailing yachts – but it was not the overriding factor, as all aspects of each entrant were considered in detail before the results of the secret ballot were analysed. The winner, Atalante, a 38.8-metre sloop designed by Andre Hoek Naval Architects and built to impeccable standards by Claasen Shipyards in The Netherlands, is certainly a delight for the eyes, with supremely elegant lines and glistening brightwork. But the judges also applauded the well-developed deckplan that, among other notable items, positions the wheel in the aft cockpit adjacent to a navigation station with direct access to the owner’s cabin. As well as offering convenience when under sail, this entire area becomes a private cockpit when the yacht is at anchor. Atalante is also an excellent performer on the water and embodies a good internal layout with superb guest and crew spaces and a well laid out engine room. The runner-up in the secret ballot for this class had been designed and built to quite different parameters than the winner, and the judges felt strongly that it was necessary to acknowledge the design achievement that led to her stunning appearance and excellent on-the-water performance. 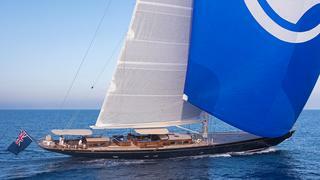 Nikata is a 35-metre racer/cruiser designed by Judel/Vrolijk, styled by Nauta Design and built by Baltic Yachts. Her racy looks are apparent from first glance, so it is unsurprising that she hit an impressive speed of 24.8-knots during her first crossing of the Atlantic and won her class in her first RORC Caribbean 600 in which she finished seventh overall. Precisely built entirely from carbon pre-preg laminate with a Corecell foam core, this 88-tonne vessel is equipped with high-speed winches and an easy-trim jib system, but she does not lack creature comforts that include a 200-bottle wine cellar, six fridges, two freezers and a spectacular sound system, as well as an opening transom that converts to a bathing platform. While only three yachts competed in this class, each represented a quite different aspect of the sailing superyacht spectrum extremely well - so the judges were presented with yet another difficult choice. After an interesting discussion, the secret ballot decided the winner to be Unfurled, a 46-metre sloop from the boards of German Frèrs that was constructed by Vitters Shipyard, marking the first collaboration between the builder and designer. This yacht was not only judged to be extremely well designed and built, but it was considered to be a yacht that could ably fulfil the more specific racing and luxurious cruising roles of the other competitors as well as those of the ‘cruising and occasional racing’ function that her owner had requested. At the same time, Unfurled employed the latest technological advances such as retractable propulsion pods, a sophisticated carbon rig and roller furling system as well as downwind sails stored on special drums under the foredeck that allow easy deployment. During the judges’ discussions on this class, it became clear that Topaz, built to the J-Class Rule, was highly admired by all the jury, who agreed that this yacht was the most elegant in this year’s Awards. 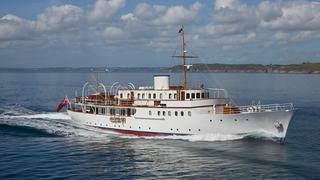 Not only were the exterior lines beautiful, but her superb interior, designed in Art Deco fashion to replicate the period in which this class was first introduced, made excellent use of the limited interior volume offered by these yachts. Topaz also incorporates the latest technology, being equipped with an extremely compact hybrid power and propulsion system that allows it to be propelled electrically from its 80kW battery pack or the 50kW genset as well as its 325kW main engine. 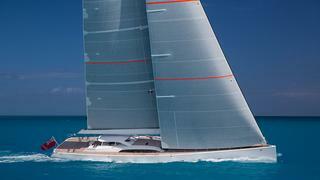 J-Class yachts are also huge consumers of power to drive the winches, especially when racing, and the sophisticated system aboard Topaz will deliver 250kW of hydraulic power to allow the simultaneous use of necessary equipment. The judges found this a a highly competitive class with all its entrants originating from experienced yards with long experience in building yachts of this size and specification. After projecting the images and hearing from those judges who had personal experience of the entrants, there was a long discussion during which the merits of each yacht were debated before the secret ballot decided the winner. As was expected the result was close, but it was Antheya III, a newly designed 35-metre semi-custom yacht from UK builder Princess, that filled the top spot. This vessel, developed in conjunction with her owner, had attracted high scores for every judging criteria. The judges particularly admired her exterior design, which incorporated a variety of functional areas in which to relax and dine, as well as her contemporary yet ageless interior. Additionally, the judges found a high quality of construction and excellent technical, service and crew areas. A well balanced yacht indeed. Modern lines, bright and tranquil interior spaces, and modest, semi-displacement performance attracted the judges attention to the 40.1-metre all-aluminium Palumbo Divine, and when combined with the optimised seakeeping and fuel economy derived from a diesel-electric propulsion package, this yacht proved to be a winner. Among many design features admired by the judges were the fold-down bulwarks that form lovely side balconies – their glazed elements providing increased visibility from the interior when folded – these are positioned opposite floor-to-ceiling sliding doors in order to unite the saloon with the world outside. On a technical level, the yacht’s hybrid propulsion, which provides for excellent fuel economy, also allows the yacht to cruise extremely quietly at eight knots, running on fixed-RPM generators with low emissions. During navigation under the main engines the same electric motor is used as a generator, allowing the gensets to be turned off. Having reviewed all the yachts in this class in some detail, the judges selected the 42.3-metre Mondomarine Serenity, with exterior design by Luca Vallebona and SFL Design, as the winner. Well-built, and displaying modern yet extremely harmonious exterior lines that perfectly match her interior, the judges considered this to be a well-balanced motor yacht whose interior layout offers the owner the privacy that he requested in his brief. In order to achieve this, the designers created an unusual general arrangement that assigns both the interior and exterior areas of the complete upper deck for the owner’s use, linking this to the forward part of the main deck where the owner’s bathroom is located. Despite the relatively modest size of the yacht, guests enjoy four spacious cabins on the lower deck and a main-deck lounge with wide openings to balconies on either side. The crew are provided with generous accommodations on the lower deck as well as a crew mess on the main deck, which is adjacent to the galley. The judges were immediately drawn to the Mulder 34-metre motor yacht Solis by her attractive and original exterior lines, while excellent reports from the judges that had visited her concerning her quality of build and other aspects that cannot be determined by text and photographs reinforced this interest. Delving deeper, they discovered the vessel’s transatlantic range, state-of-the-art facilities and the very pleasing level of interior brightness and exterior visibility provided by her large use of glass, much of which has the ability to be opened. This, the judges felt, is a true ‘pocket’ superyacht built on a human scale that not only satisfies the demanding aesthetic requirements of her owners, who tend to shy away from ostentation, but also provide a high level of comfort and convenience. The judges were so impressed by this yacht that the decision to award her the Neptune for this class was almost unanimous. 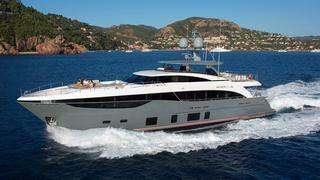 Solis, the largest Mulder launched to date, was deemed a very worthy winner. It is unusual for World Superyacht Award judges to give a specific Commendation prizes for interior design as, being created to the specific taste of her owner, this aspect of a yacht does not contribute to the overall marks awarded by individual judges. In the case of Rüya, however, the judges were so enthusiastic about the interior design created by Sam Sorgiovanni, which combines the rich tones of the Australian Outback and other uniquely Australian textures, that they unanimously decided to break with tradition and award a Judges’ Special Commendation. In particular, the judges were impressed with the modern, highly sophisticated atmosphere that was created by the use of architecturally clean lines together with the harmonius colours, textures and timbers that are found throughout, which thoroughly complement the yacht’s open and bright atmosphere. This class contained many excellent yachts, most of which displayed significant pedigree, but the judges chose a newcomer as the winner. Wider Yachts have been previously known for their innovative tenders and small craft, but in late 2015 they launched their first superyacht. This was the 46-metre Wider 150, a yacht which continued their already established trend of thoughtful design and innovation. In the judges’ view, this vessel is the epitome of a modern yacht, incorporating the best of today’s design trends and introducing many original ideas, while scaling down desirable features that, so far, have only been seen on much larger yachts. The judges particularly admired her bright interior spaces and the clean exterior lines, together with the superb beach club in the stern that, among other features, combines the functions of tender dock and swimming pool. In addition, the propulsion system was considered so advanced that it attracted a separate award for Technology and Innovation. 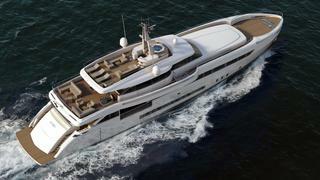 The 46-metre, Wider 150, was selected for this award on the basis of her beach club as well as her propulsion system. Many yachts have previously been fitted with a diesel-electric propulsion system in which diesel generators power electric azimuthal pods, but never before has the system been exploited to the full by positioning the generators and associated equipment in underused areas of a yacht, thus releasing a ‘high value’ midships area - traditionally occupied by the engine room - for owner and guest use. Without engines running, the Wider 150 can use her 544kWh of Li-Po batteries to cruise for six hours at five knots or, alternatively, switch to ‘quiet ship’ mode for an overnight stop of eight hours. Additionally, the design of the beach club with its two side- opening shell doors and a swimming pool that converts to a ‘float-in’ tender stowage bay, has never before been seen in a yacht of this size. Many modern yachts are labelled as ‘explorers’ merely on the basis of their commercial appearance and the stowage position of their tenders, but few actually fulfil all the necessities of a true explorer, especially exceptional seaworthiness, long range and lengthy autonomy. 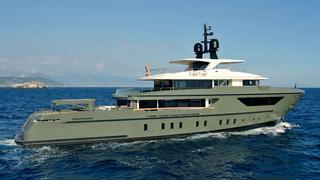 The judges felt that the new steel-hulled Sanlorenzo 460Exp Moka was an exception to this general rule, combining all these functions with high internal volume and a layout that provides excellent comfort for owner and guests, while reducing environmental impact sufficiently to receive RINA’s Green Plus Gold designation. 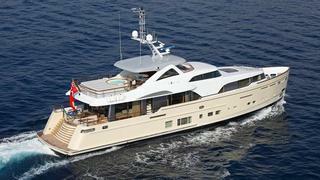 On top of this, Sanlorenzo have created a purposeful and attractive yacht, ideally suited to her owner’s long-range cruising plans, with good safety features as well as the ability to carry a wide range of watercraft and provide impressive lifestyle amenities, such as a swimming pool with current generator. While the finalists in this class were all within a couple of metres LOA, they were, perhaps, the most diverse of any of the motor yacht classes up for accolades as they displayed a particularly wide range of hull construction materials. These included all-steel, all-aluminium, steel and aluminium, steel and wood, and GRP and aluminium, as well as both solid and cored GRP. 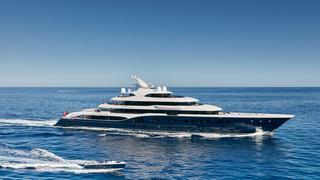 But despite this diversity the judges soon homed in to Sibelle, a 49.9-metre Heesen motor yacht with avant garde exterior lines from Omega Architects. Her Fast Displacement Hull Form, designed by Van Oossanen Naval Architects, is claimed to provide good fuel economy as well as a higher top speed than can be achieved by traditional displacement hulls, while the pair of spray rails that wrap the bow have eased the issue of spray in plumb-bowed yachts. In the judges’ eyes, these facts, combined with high-quality construction throughout and well-reasoned deck and interior areas, made Sibelle a worthy winner. With every yacht in this class having received top marks from at least one judge, it was a tough job to choose exactly which of the worthy entries should receive the Neptune. 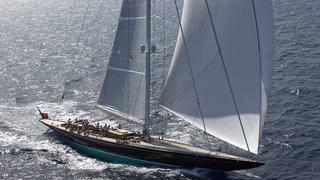 While it was recognised that each of the yachts displayed some extremely good attributes, the secret ballot resulted in a win for 11.11 – its unusual name derived from the date of birth of the owner’s child. 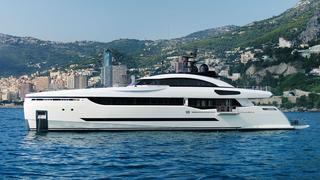 At its heart, 11.11 is very much intended as a family yacht. Despite being near completion when purchased, the owner was able to put his distinct stamp on this vessel thanks to the cooperation and flexibility of the yacht’s builder, Benetti. 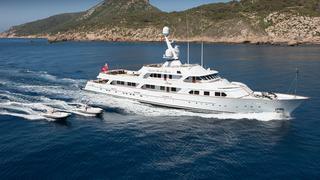 The eight judges who had viewed the yacht felt that 11.11 was the best product ever to come from this yard. This high opinion helped sway opinion and was a deciding factor in choosing this as the winner, along with her elegant and modern lines, excellent machinery spaces, high level of amenities for her owner and his guests, excellent crew and service areas, and glamorous, Art Deco-inspired interior. This class contained six exceptional yachts that were readily comparable by the judges, but it was clear from the very outset of the judges’ deliberations that one stood out above the crowd. This yacht was Savannah, an 83.5-metre motor yacht built by Feadship, which excelled in so many different areas that her selection as winner was almost unanimous – itself a rarity in a jury comprised of yacht owners with differing tastes and values. Firstly, it was the elegance and harmony of her exterior lines that thrilled the judges, but they soon agreed that her hybrid diesel-electric drive system – which is claimed to offer fuel savings of up to 30 per cent – could be a glimpse into the future of yacht propulsion. 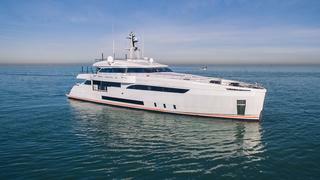 Additionally, the layout of her exterior and interior areas – including the open aft deck and wow-worthy underwater lounge – and the manner in which these areas are intelligently united with each other, together with the detailing and finish of her decorative items, were considered a triumph. This class, which contains the largest of the yachts entered for the World Superyacht Awards, saw just two yachts qualifying as finalists. Both, however, were so extraordinary that the judges initially anticipated that choosing a winner might be difficult. But as each aspect of the two contestants was scrutinised in greater detail, it became clear that the Feadship-built Symphony had edged into the lead. Not only did the judges consider this 101.5-metre motor yacht to have stunningly beautiful exterior lines, but they also admired the division of her interior spaces and the incredible quality and attention to detail that had been invested in all areas. The builder had also successfully addressed many challenging technical issues that had arisen from both the requirements of her owner, as well as from the new PYC code to which the yacht is built. This yacht is a remarkable story of design, craftsmanship and technological innovation that has been cleverly combined to totally satisfy the owner’s requirements. Presented to a nominated yacht in any class, the Quality and Value Award recognises a yacht which, in the judges opinion, represents particularly high quality, while avoiding any undue escalation in high cost. Fittingly, the yachts entering for consideration in this award category must declare their cost. 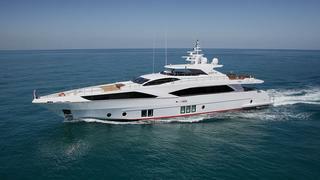 This year, the award was presented to Nashwan, a 37.3-metre Majesty 122 motor yacht built by Gulf Craft in the UAE. Over the last few years, the quality of the yachts emerging from this builder have greatly increased, and this was certainly reflected in Nashwan. Not only is this yacht built to a high standard in all areas, but it displayed a spacious layout that includes a tender garage and a commodious crew area, as well as good on-board facilities for the owner and his guests. 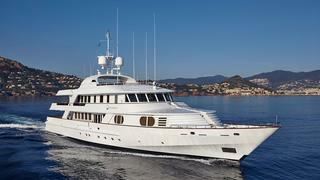 In the judges opinion, this yacht is well suited to entry-level Mediterranean and Gulf cruising. In terms of winning this particular prize, she represents extremely good value in respect of her $9.5-million price tag. We have been privileged to know Jim Clark as a client and a valued friend for over twenty years. Jim’s intellect, ambition and energy enabled him to overcome serious challenges early in life to earn a master’s Degree in Physics and a PhD in Computer Science. His scientific rigour and entrepreneurial talent led to globally successful businesses, such as Silicon Graphics (the world leader in visual effects and 3-D imaging) and Netscape. Jim Clark entrusted our yard with the build of three custom superyachts: the 47m sloop Hyperion, the 90-metre three-masted schooner Athena and the 42-metre Super-J Class Hanuman. Each project was bold, individual, and exceptional; each charged with the same intensity of drive for innovation and challenge. Hyperion demanded the most sophisticated alarm monitoring, control and navigation systems the industry had ever seen. We were fortunate that our client not only knew what he wanted, but how to write the software! 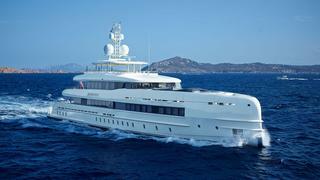 The superyacht industry has benefited ever since. Athena was the yacht that just kept on growing. As it approached 90 metres, my father realised his building hall could be extended no further and even suggested Jim might take the build elsewhere. But Jim had only one builder in mind and his ability to motivate and encourage came to the fore. Athena became the proudest launch of my father’s career. The Super-J Hanuman appears more straightforward. But Jim’s intellectual curiosity and quest for perfection ensured there was no shortage of constructive challenge. The rig was a particular focus, with five specialist organisations cooperating to achieve regatta success with the most powerful, aerodynamic and fine-tuneable sailplan possible. And we cannot ignore Comanche. The Sydney-Hobart line honours winner and world’s most advanced 100-foot racing machine is yet another example of how Jim Clark never does anything by halves. Neither can we ignore Jim’s philanthropy. He has made substantial donations to the academic world as well as to marine conservation. His long-term support for the Oceanic Preservation Society has included making Athena freely available to its scientists and campaigners. He is also a major funder of director Louie Psihoyos’ award-winning eco thrillers The Cove and Racing Extinction. Jim’s boldness and love of innovation, his challenge and motivation mean that every yacht he has created has been a masterpiece of its genre. His impact on our entire industry – inspirationally as well as technologically – is without equal. We have been privileged to know Jim Clark as a client and a valued friend for over twenty years. Jim’s intellect, ambition and energy enabled him to overcome serious challenges early in life to earn a master’s Degree in Physics and a PhD in Computer Science. His scientific rigour and entrepreneurial talent led to globally successful businesses, such as Silicon Graphics (the world leader in visual effects and 3-D imaging) and Netscape. Jim Clark entrusted our yard with the build of three custom superyachts: the 47m sloop Hyperion, the 90-metre three-masted schooner Athena and the 42-metre Super-J Class Hanuman. Each project was bold, individual, and exceptional; each charged with the same intensity of drive for innovation and challenge. Hyperion demanded the most sophisticated alarm monitoring, control and navigation systems the industry had ever seen. We were fortunate that our client not only knew what he wanted, but how to write the software! 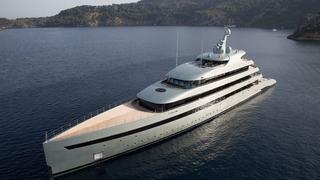 The superyacht industry has benefited ever since. Athena was the yacht that just kept on growing. As it approached 90 metres, my father realised his building hall could be extended no further and even suggested Jim might take the build elsewhere. But Jim had only one builder in mind and his ability to motivate and encourage came to the fore. Athena became the proudest launch of my father’s career. The Super-J Hanuman appears more straightforward. But Jim’s intellectual curiosity and quest for perfection ensured there was no shortage of constructive challenge. The rig was a particular focus, with five specialist organisations cooperating to achieve regatta success with the most powerful, aerodynamic and fine-tuneable sailplan possible. And we cannot ignore Comanche. The Sydney-Hobart line honours winner and world’s most advanced 100-foot racing machine is yet another example of how Jim Clark never does anything by halves. Neither can we ignore Jim’s philanthropy. He has made substantial donations to the academic world as well as to marine conservation. His long-term support for the Oceanic Preservation Society has included making Athena freely available to its scientists and campaigners. He is also a major funder of director Louie Psihoyos’ award-winning eco thrillers The Cove and Racing Extinction. Jim’s boldness and love of innovation, his challenge and motivation mean that every yacht he has created has been a masterpiece of its genre. His impact on our entire industry – inspirationally as well as technologically – is without equal. 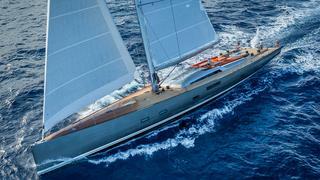 The Sailing Yacht of the Year is selected by the judges from among the winners of the two sailing yacht classes. This was a difficult choice as both contenders were considered to be exceptional sailing yachts, but the final decision was made in Unfurled’s favour. Although the yacht’s clean flush-deck appearance was admired by the judges, this decision was largely made on technological grounds. In particular, the judges applauded her custom-designed retractable propeller pods, which greatly reduce hydrodynamic drag while retracted in sailing mode, together with the pair of lightweight thrusters, again retractable and custom designed to enhance sailing efficiency. 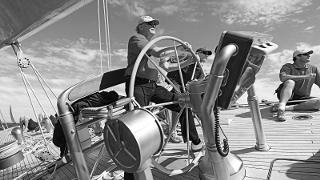 The Vitters- designed power steering system that provides both lightness of operation and the ‘feedback’ associated with manual systems was also admired by the judges, as was the custom headsail storage, which stows large headsails on two drums positioned below the foredeck, easing sail-changes and reducing damage to the sails. 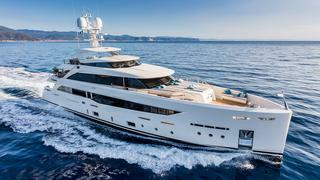 The judges select the Motor Yacht of the Year from among the winners of all nine motor yacht classes, but despite this wide choice they had little difficulty choosing the 83.5-metre Feadship, Savannah for this accolade. Not only is this an inspirationally elegant yacht, but its quality of design and construction - right down to the last detail – demonstrated the level of craftsmanship to which many aspire but few achieve. Beyond these attributes was its pioneering propulsion package - the first of its type - blending a single diesel engine driving an oversized propeller, while three gensets power an azimuthing thruster positioned just aft of the diesel-driven propeller. In normal drive mode, the azimuthing thruster faces forward, contra-rotating with the aft-facing propeller to attain a high level of efficiency, while when manoeuvring or in DPS mode the thrusters can be rotated to provide the necessary thrust in whatever direction. 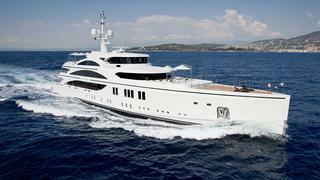 This incredible yacht that excels in all aspects is a worthy winner of the Motor Yacht of the Year Award.